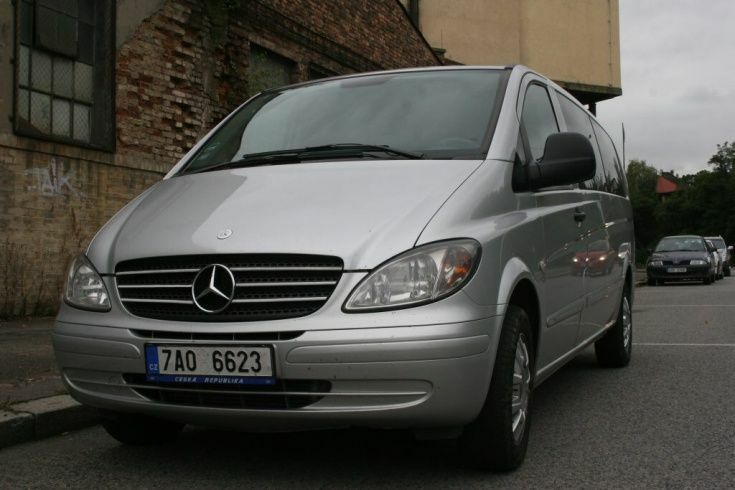 Mercedes Benz Vito is a comfortable minibus for up to 8 passengers and a driver. 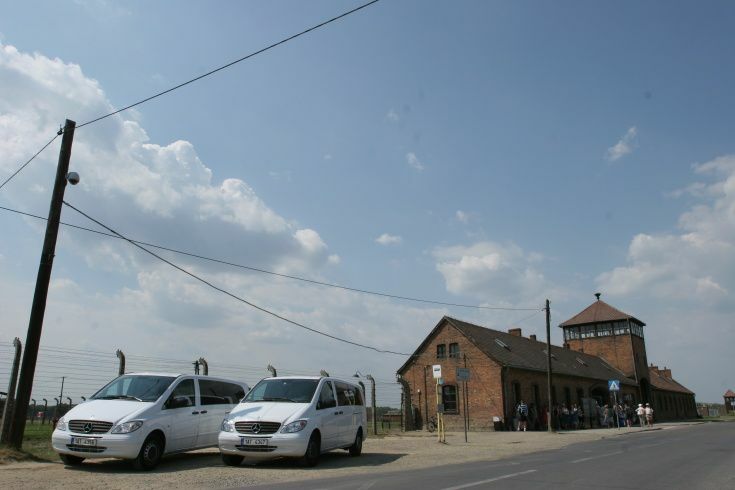 There are three versions manufactured: normal, long and extra long. 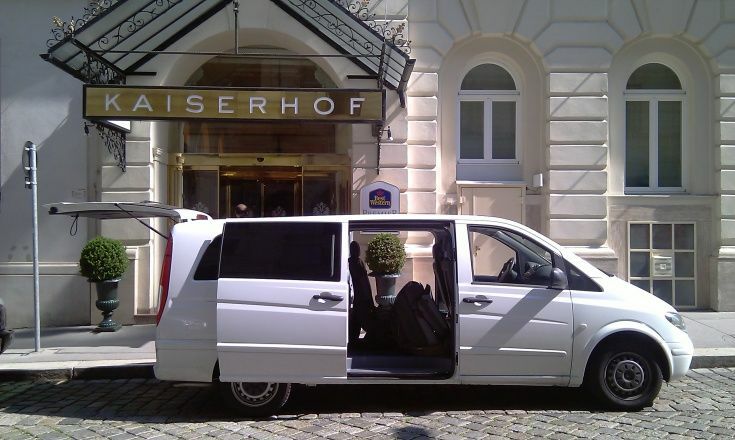 Our fleet includes only the extra long versions. 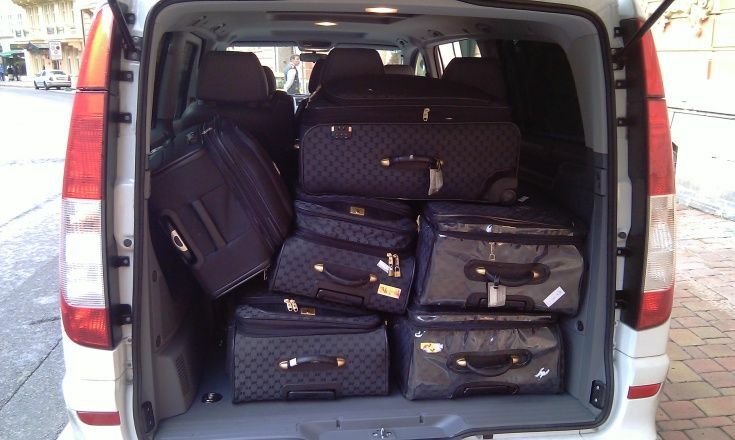 The minivans are capable to accommodate up to 10 large pieces of suitcases. 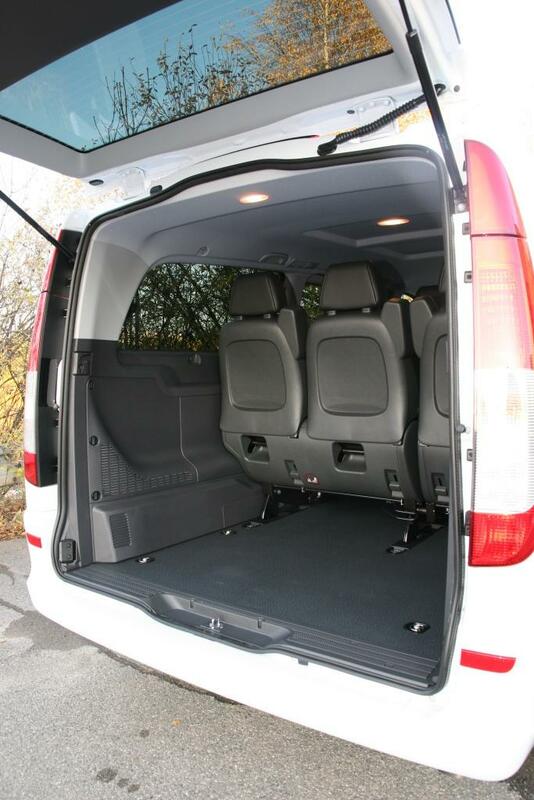 The minivans are the most comfortable for 7 passengers + driver, but can seat up to 8 passengers. 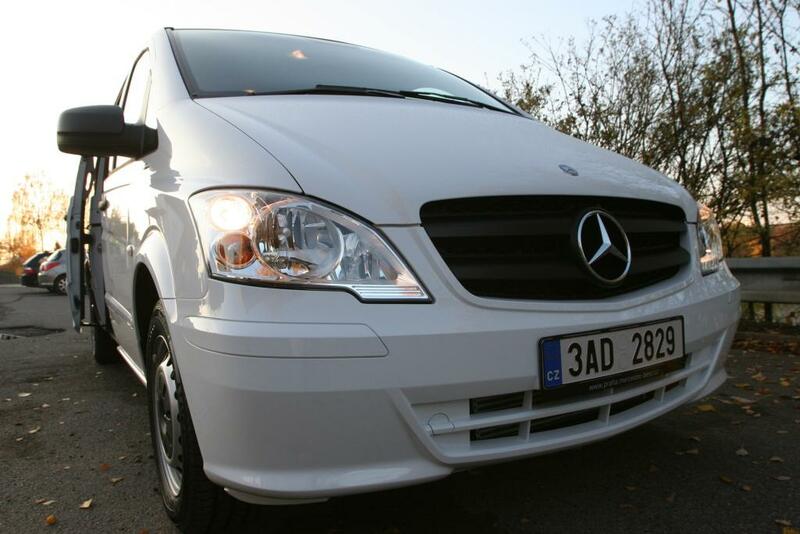 All Mercedes Benz Vito's in our fleet are fully air conditioned. 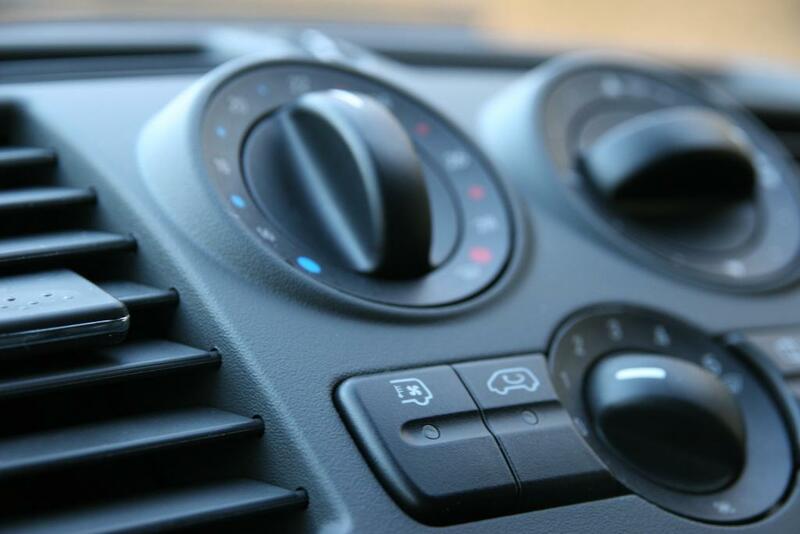 There are two individually controlled compressors to ensure the best air conditioning. 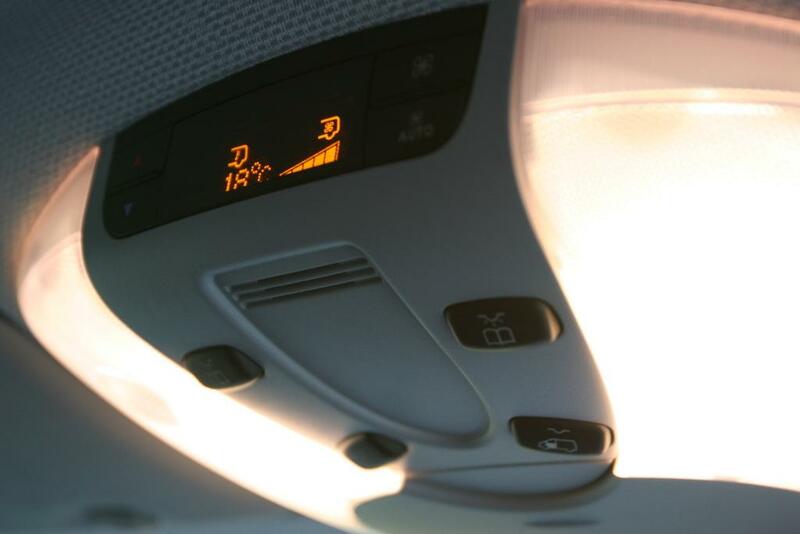 All vehicles are non smoking and insured above the standards. 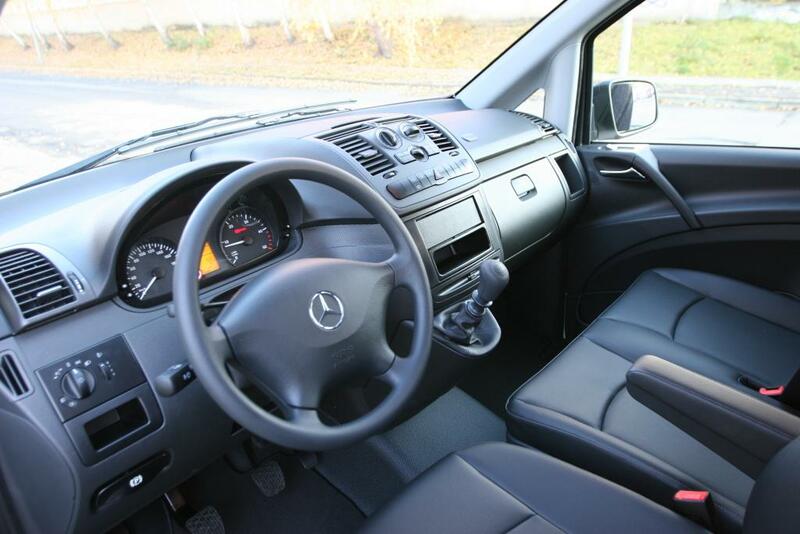 Mercedes Benz Vito is equipped with fabric or artificial leather seats. Each seat has independent seatbelt. 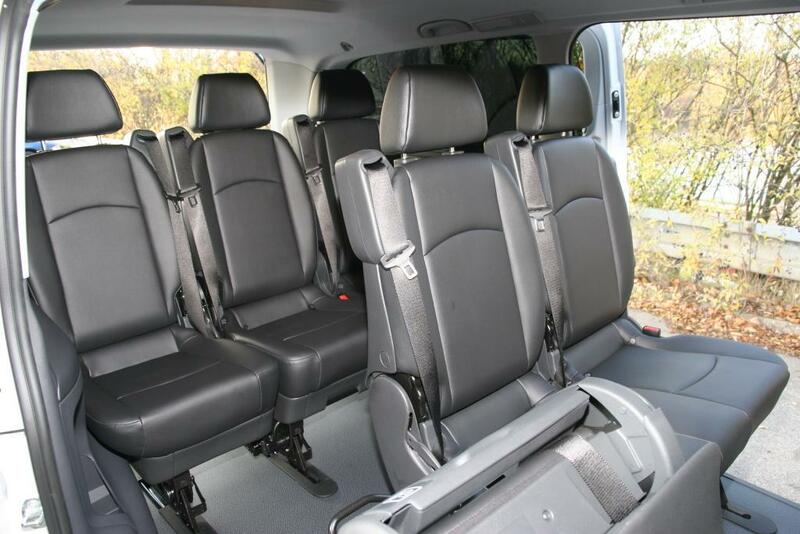 The rear are six seats are reclineable. 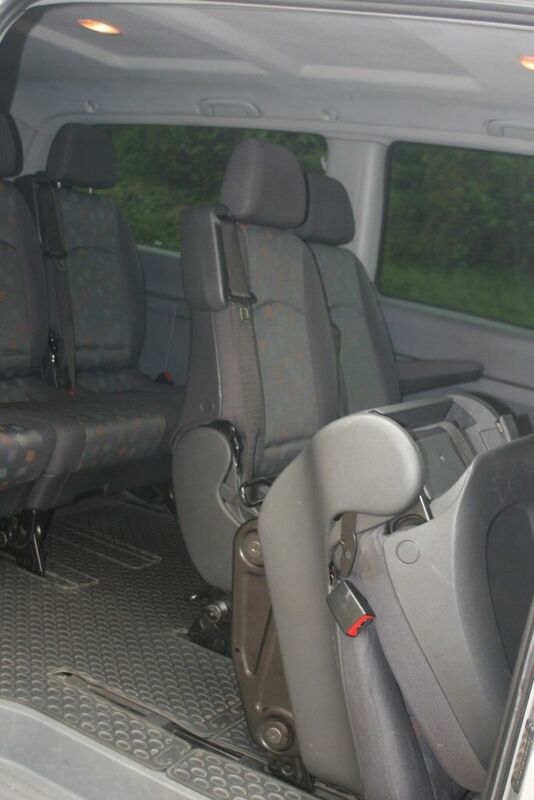 In 9 seater version the two front passenger seats are not reclineable, whereas the 8 seats version, also referred as 7+1 minibus, has both the driver's and the front-passenger's seat reclineable. 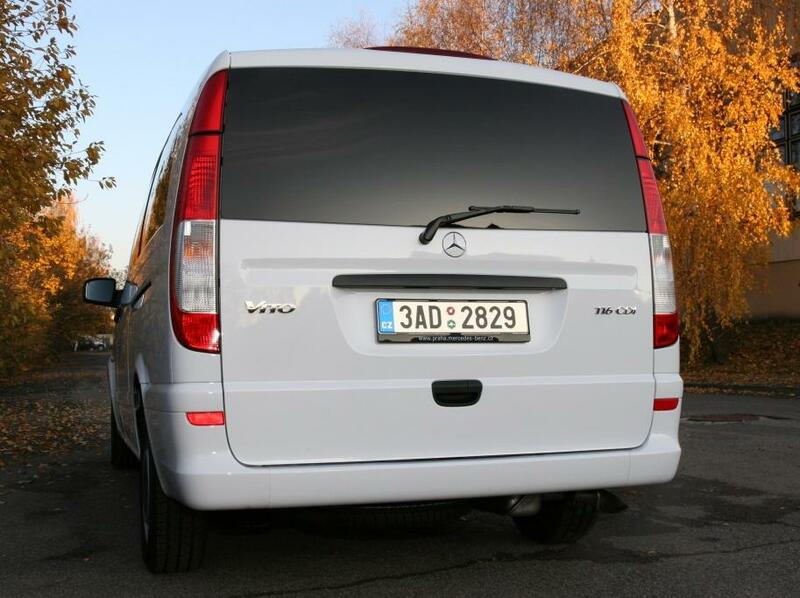 Rear windows are provided with black tint, thus the passengers have more privacy as well as protection from direct sun shine. 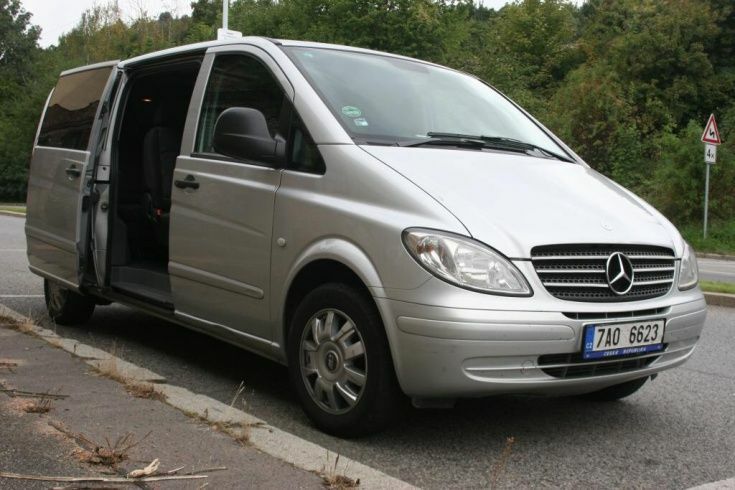 Mercedes Benz minibuses are equipped with radio with USB and AUX interface, GPS, USB charges for the front passengers and on request we can provide Wifi on board.